Driving east out of Jacmel in south east Haiti, the paved road hugs the coast offering stunning views of the blue water beyond. The view inland is equally impressive as rugged, green covered mountains look down on you. This region is one of my favorites in Haiti and it was nice to be back. On this particular day we were heading to the village of Figue to see firsthand how this community took the lead in a recent project. Figue is located high up in these formidable mountains and several kilometers from the paved road along the coast. To get there we followed a gravel road that steadily narrowed as we climbed. 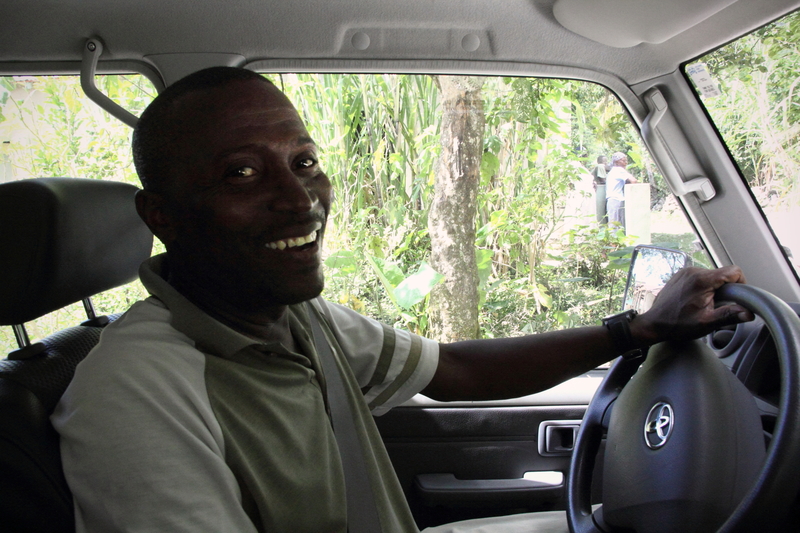 The journey alone to some of the rural areas World Concern works is an adventure in itself. Eventually the gravel disappeared and the road’s surface became rocky and soggy from the rain that falls each afternoon this time of year. At one point Robert, our driver on the trip, stopped the truck and got out to lock the differentials and turn on the four wheel drive. “Okay now we are ready,” he said. Looking ahead I could see what he was referring to. There was a particularly steep section that was incredibly narrow (can the truck even fit through that?) and the road dramatically dropped off on the passenger side (which is where I was sitting). With my heart pounding in my chest, Robert expertly navigated the difficult section, as he has many times before, and then laughed out loud as a way to lighten the situation and celebrate his small victory. At this point all of us couldn’t help but laugh too. We continued on and soon reached the village of Figue which is surrounded by dense vegetation and rugged terrain. There are 125 families in Figue with “five people per family minimum” as one man said. 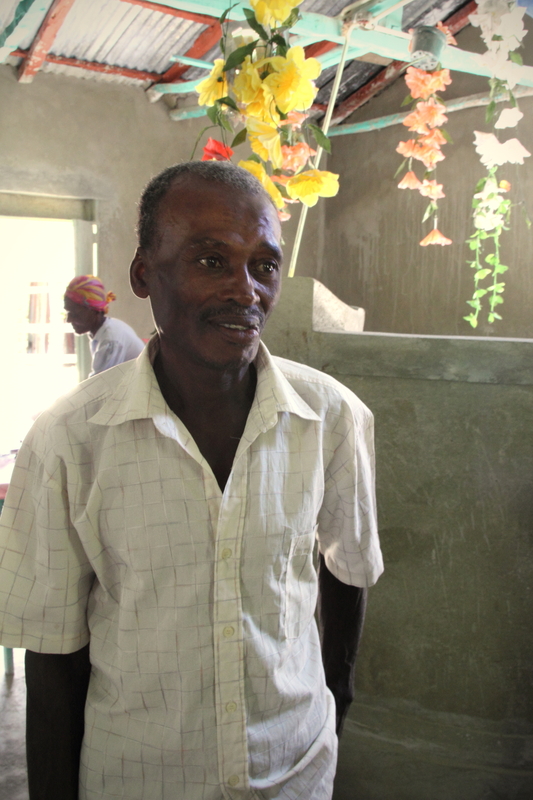 In 2012 Figue suffered tremendously due to a harsh hurricane season. In addition to crop loss, the village’s only church was completely destroyed. Pastor Bonnet has pastored the church in Figue for 32 years and his father pastored before him. Although no one knew exactly when the church began, it’s obvious it has been serving Figue for some time and World Concern wanted to see that legacy continue. 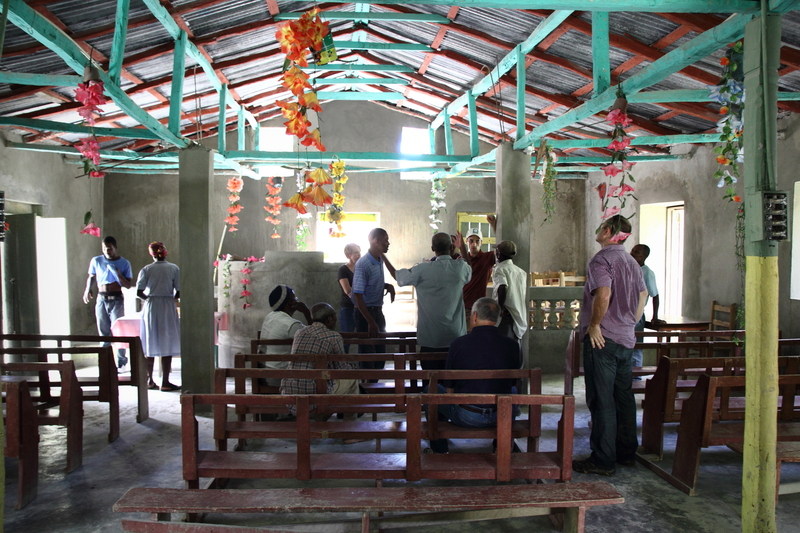 While World Concern provided the materials and some technical support, it was the community of Figue who rebuilt their church. “We built it!” They chimed in unison when asked about their church. It was clear that the community possessed a high level of ownership which is a beautiful thing to witness. The new church building is an eye-catcher. Not because it is flashy; in fact it is quite simple. However it is the obvious strength of the structure that grabs your attention. The old church was made of rock and dirt. The new church is built with cement, ensuring it will serve its’ 200+ members well for years to come. Inside the newly built (and well painted) church. In addition to a new church, Figue now has access to consistent potable water thanks to the construction of a new water system. Similar to the construction of the church, World Concern provided materials and technical support but the system was entirely built and managed by the community. 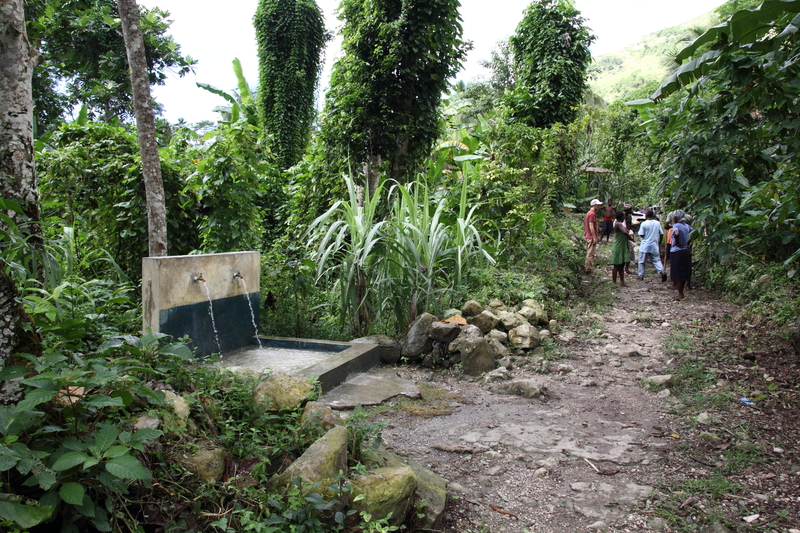 The primary water source is a spring a steep 10 minute walk from the main road passing through Figue. Once the source was capped, piping was installed to carry the water down the hill to a reservoir. This reservoir holds the water and once it reaches capacity, the water is piped further down the hill to a fountain on the main road. 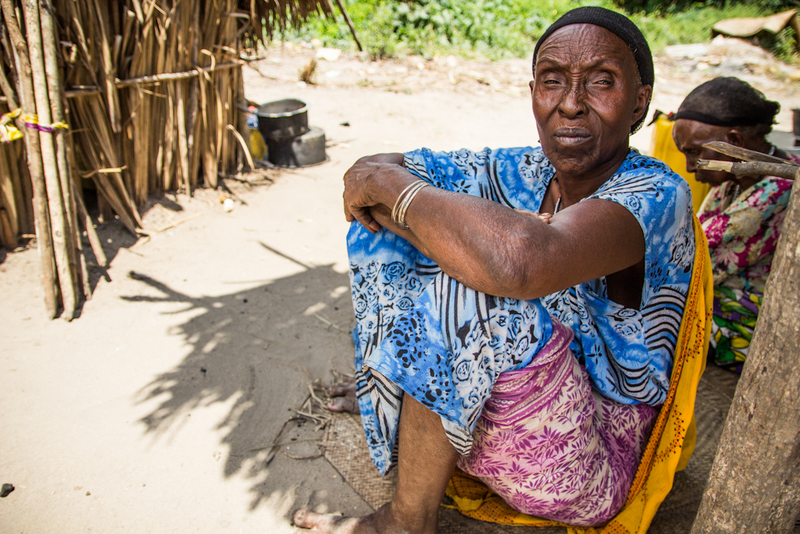 64-year-old Amedene Tibo, a widow and mother of seven, has lived in Figue her entire life. “Although the source was only a 10 minute walk from the road the path was bad and if you are carrying water you will fall,” she said. Mrs. Tibo posing at the water system’s reservoir. She is not joking. After scrambling to reach the reservoir a few of us continued further up the hill to the actual source. Even for a young person such as me, it was no easy trek. The path itself is not clear and I was constantly slipping on the wet rocks that littered the ground (even though I was wearing low top hiking shoes with good traction). Thankfully that difficult walk is not needed anymore. As I sat listening to different people share about the water system and what a blessing it is I thought to myself, “What if it breaks?” All too often systems such as this one end up rusting away as soon as something breaks if there is not a pre-determined plan established beforehand. When there was a break in the chatter I asked that very question. This fountain provides access to water to those in Figue and other nearby communities. “If there is a problem with the system each family has agreed to give a little money so we can repair it,” explained Frednel Rimny, president of the local water management committee. It was encouraging to hear that the committee understood the importance of creating a plan and had put one in place. The progress in Figue and the community’s hard work should be celebrated. A safe place to worship for the village’s church goers and a new water system are wonderful contributions that will certainly bless the people of Figue for quite some time. This doesn’t mean Figue and other rural communities don’t face more challenges. Poverty is complex and multi-dimensional. This theme came up often in our discussions with our travel companions. We’re learning that not everything can be “fixed” or perfected; and that’s okay. Instead it’s about walking with people and helping them move forward one step at a time. This is a slow process but one that World Concern is committed to living out. 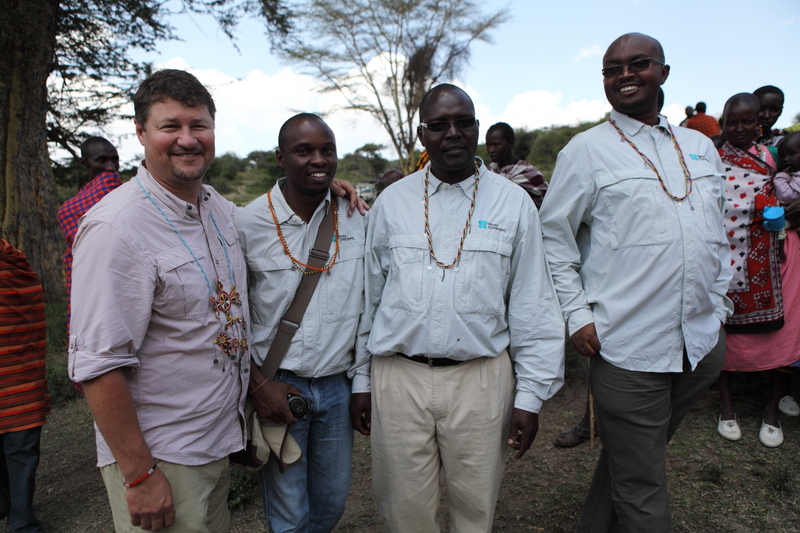 ExOfficio GM Steve Bendzak with World Concern staff members in their new shirts. This week, I’ve been traveling in Kenya with ExOfficio, a generous company that has outfitted our field staff with new shirts. 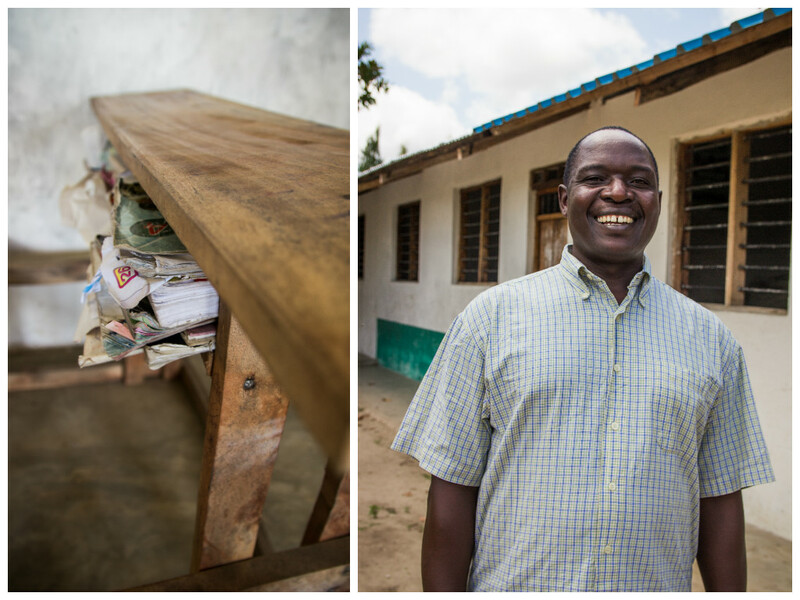 Yesterday, we visited two villages in Kenya that have been dramatically changed by access to water. 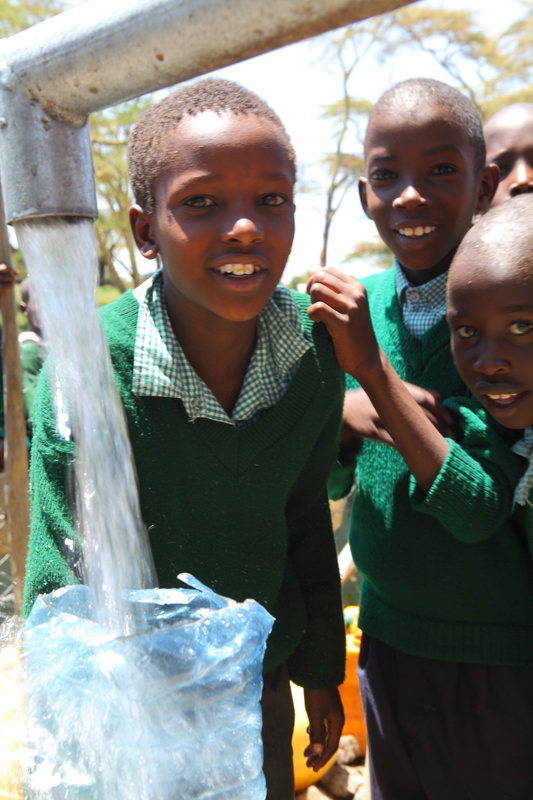 School kids in Naroomoru, Kenya are healthier and doing better in school because of clean water. The teacher in Naroomoru was telling me he once had to call for a medic because a child was having uncontrollable diarrhea and needed to be rushed to the hospital. No more. With clean water, hygiene and sanitation, this plague of diseases has ended. School performance has also increased, as the children are not sick. The school’s rating in the area has increased from about 160 out of 180 schools in the area, to about the 30th best performing school out of the 180 schools. Huge. The second village, Mpiro, now has a water pan—a protected man-made pond for providing water for livestock. Before the water pan, the villagers had to walk their animals for three hours, round trip, to get water at the base of a mountain. This area is filled with dangerous animals. One man told me about his nephew being trampled to death by an elephant. Now, the access to water is 5 minutes away. We enjoyed a dance performance by Maasai boys in their village. In Mpiro, we and our clothing partners from ExOfficio had the opportunity to work with the villagers as they planted sisal, a drought-resistant plant, along the edges of the water pan. This planting helps protect the berms of the water pan from degradation, and reduces the amount of crud that blows into the pond. An incredible day—to reflect on how blessed I am to have unlimited, clean water—and a reminder of the dramatic ways life can change for the better by partnering with villages to tackle these problems head-on. In my travels, I experience all kinds of environments, from tropical jungles to barren deserts. Yet no other place has left such a deep impact on me as northern Somalia (also known as Somaliland). We traversed an elevated plateau, ringed by mountains, known locally as the Ogo. Were it not for the intense heat, I would have believed we were on the moon. Wind whipped up the sand, filling my teeth with constant grit. The air sucked all moisture from my body. My throat was sore and my tongue was swollen. There are no roads, and the landscape is littered with rocks and small shrubs. We drove for hours hardly passing anyone, only seeing a few people leading a herd of camels into the horizon. It’s a lonely place. A nomadic Somali family herding their livestock. 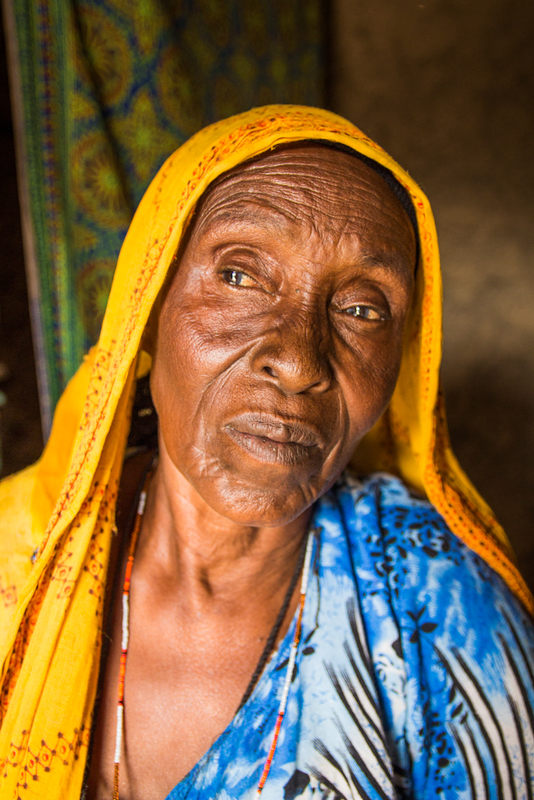 Most people in Somaliland are nomads. Livestock (camels, goats and sheep) are the only way of life in a place with so little water. These animals walk hundreds of miles each week across the Ogo, traveling from one waterhole to the next, and whole families move with them, carrying their homes on their backs. The last few years have been especially hard, as rains have come less and less frequently, and wells dry up. Years of drought and desertification, coupled with conflict, are making the nomadic way of life much more risky. Rains are fewer and far between. I’ve visited places that get rain two or three days per year. Ironically, so much rain falls in one day that it causes walls of water 15 feet high to roar down dry river beds, washing away whole families. Between the constant wind and these flash floods, soil is eroded away and the high central plains are mostly bare rock, with a few inedible shrubs. In Huluul, we met a widowed mother. The scar on her face and the weariness in her eyes are deceiving. She is not even 25, her four children under 7. After her husband died, she couldn’t manage raising her young children and taking care of his herds. As the animals died off, one by one, all hope of a future for her children died with them. Like so many others, she moved to towns like Huluul to start over. Unfortunately, this has put a heavy burden on the meagre water supply in town, and threatens the health and lives of many more. Since 2008, World Concern has been crisscrossing the Ogo plateau, working in small villages and towns to turn the tide on water shortages. Through introducing rainwater tanks in schools, clinics and public buildings, repairing and protecting wells, and teaching schoolchildren about public health, a crisis is being averted. 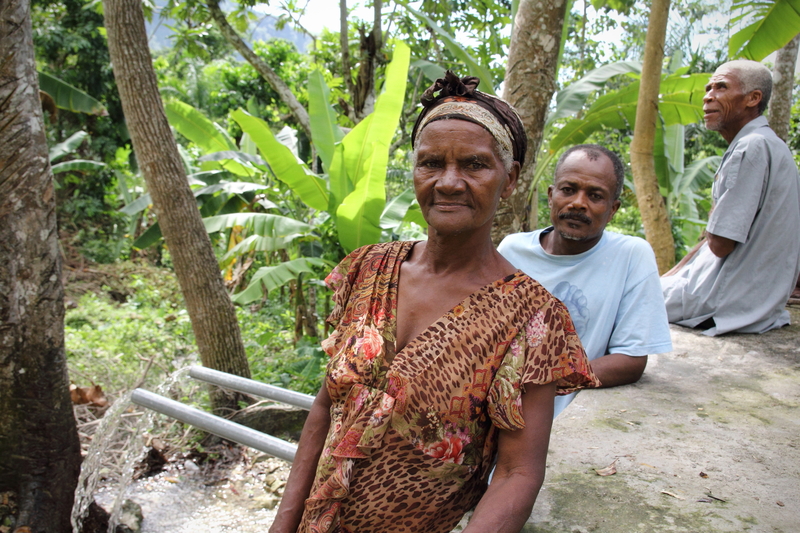 In Huluul, increased water supply has meant economic growth. The town social committee is providing food, shelter and water to this young mother and many others. 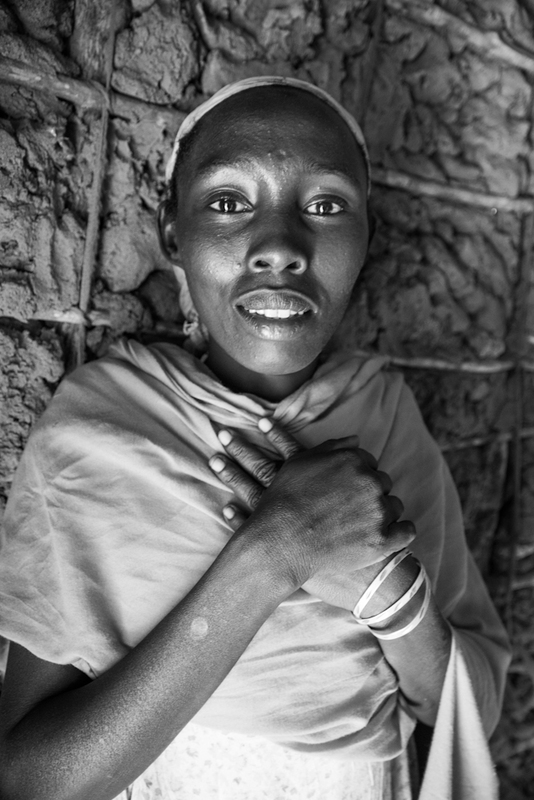 Her children have access to food and water at school, and the health clinic has fresh water as well. For one woman—and many more with your support—water means life, and new hope. What if your family spent less money on Christmas gifts this year? What if you focused more on giving and helping others instead? What if you did something amazing, like bringing clean water to a desperately poor village? Several generations of Rod Robison’s family gather at Christmas. Last year, they donated enough money for a well in Somalia. That’s exactly what Rod Robison’s family did last Christmas – and they’re doing it again this year. Instead of spending hours in crowded shopping malls, spending loads of money on “stuff,” Rod’s entire extended family pooled their money and raised enough to pay for a well for needy families in Somalia. He said the idea came after his son Jordan, a freshman in high school, did a report how the lack of clean water impacts poor communities – causing sickness, loss of productivity and income, and perpetuating poverty. “In a real sense, the lack of clean water is drowning people in a cycle of extreme poverty that continues from generation to generation. That is, until someone steps in to help break that cycle. That’s what I’m suggesting the Robisons, Herringtons, Hansons, and Lambs do this Christmas. Break the cycle for one village. During Jordan’s presentation he held up a catalog from World Concern. He showed the kids in his class how they could buy ducks, chickens, pigs, or goats for a family caught in the grip of extreme poverty. Or even a well for an entire village in desperate need of clean water. He challenged his fellow classmates and their families to spend some of their Christmas money this year on someone else. Someone in desperate need. Rod’s family members were thrilled with the idea. His daughter, Jennifer, a mom of twin one-year-old boys, said she and her husband had asked for only gifts that helped others, like those in the Global Gift Guide. Some of Jennifer’s immediate family members who received Global Gift Guide gifts for Christmas. The family raised most of the $3,000 for a shallow well in Somalia, but they also had others join their efforts. Rod shared the story on a radio station and one of the hosts asked afterwards if she could donate to their project. They ended up raising several hundred dollars extra and were able to give some animal gifts as well. Rod, who is the host of a radio program called “Radical Stewardship” on the Family Life Radio Network, said he hopes others will consider changing their mindset from one of ownership to one of stewardship. “We were put on this earth for a greater purpose than heaping stuff on our laps – to use what God has blessed us with to help others,” he said. See more gifts that change lives at www.globalgiftguide.org. Kelly Ranck is moving to east Africa to serve with World Concern as a communication liaison. Here’s a report about the impact of latrines and hygiene from her recent trip there. You heard me. World Concern rolls VIP style. I’m talkin’ Ventilated Improved Pit latrines. And this is changing lives. Clean water and basic hygiene are concepts that we take for granted. In the villages of Kenya and South Sudan, such information is foreign. Though they often live happy (still difficult) lives, many people here have never been exposed to the idea that their lives could be prolonged, and less difficult, if they were to practice good hygiene. Here is where the VIPs come in. As a part of our One Village Transformed campaign, World Concern educates communities about preventing diarrhea, cholera, and other water-borne/hygiene-related diseases. New VIP latrines in Kenya. Photo by Kelly Ranck. Another reason I love VIPs (besides the fact that they spared me from a handful of moments of doing my business in public) is that they enable more children to attend school. Here’s how they relate: healthy children can effectively travel to and attentively engage in school. Clean water and sanitation are significant factors in increasing opportunities for education. Students in Banane, Kenya, wash with water from a dirty stream behind the school. 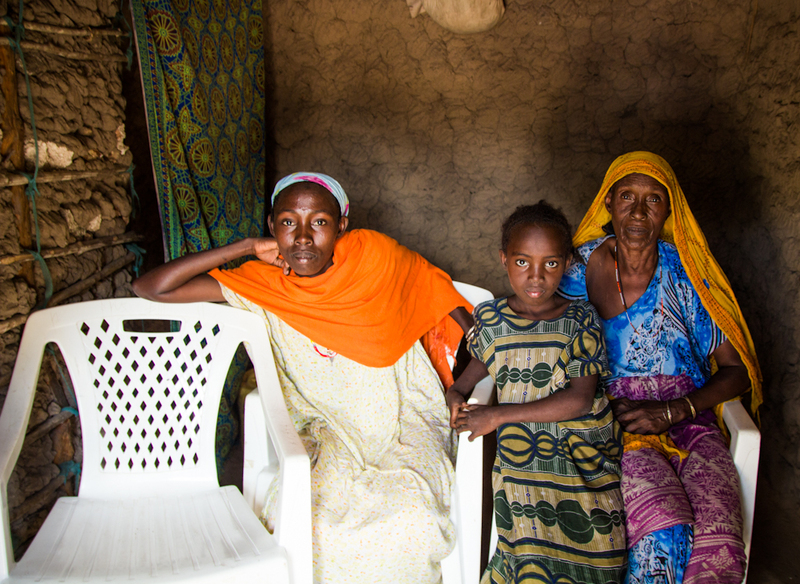 With World Concern’s help, they now have access to VIP latrines and clean water. Because World Concern has empowered locals to build a Treadle pump, more students are attending class. Instead of spending the large portion of their day walking to water sources in order to gather unsanitary water, children now have access to clean, safe water and more time to attend class. And with latrines at the school, the underground water sources will remain unpolluted and safe to drink. I look forward to checking back in with the people of Benane and getting some VIP access when I move to Africa! Young boys drink from a murky pond in Kenya. I will always think of the little boys with the pond scum mustaches when I consider the developing world’s water crisis. I met them in Kenya this week as the World Concern team was surveying an extremely remote village where we are planning further development. We drove to a water pan – essentially a man-made pond for water collection. 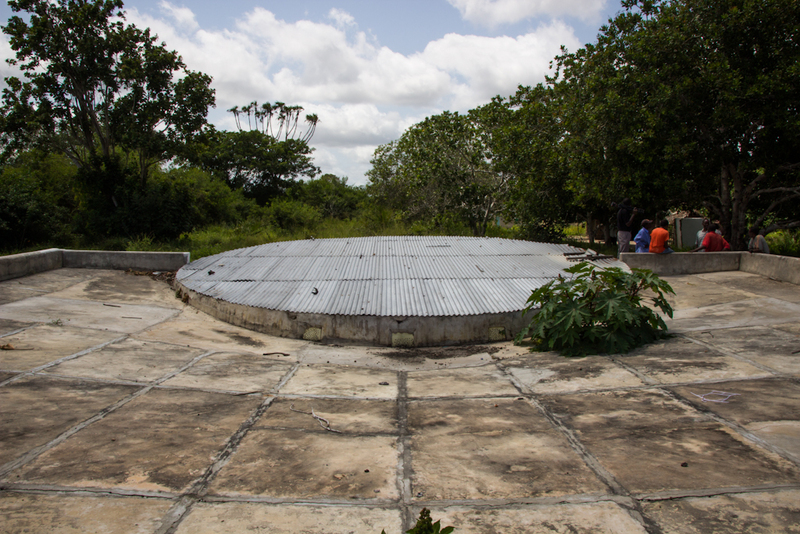 Water pans are usually reserved for livestock, but in this case, a couple of water pans were the community’s source of drinking water. After slipping through a fence made of gnarled branches and walking toward the muddy pond, I saw the water. It was green with algae, and moving with life. Over the surface of the water was a film of muck, essentially – pond scum. As I was getting video and photos of this water pan, reality set in, as a group of five friends – thin and quiet little boys around 10 years old – came with filthy jugs, out to get a drink. They lined up alongside the pond, dipped their jugs in the water, brought the water to their mouths, and tipped the jugs back. I knew at that moment that the boys were being infected, as they had been many times before, with parasites and bacteria that would make them sick. We scooped up some of this water in a clean, clear bottle – and with the naked eye could see worms and other creatures flex and swim through the opaque mess. 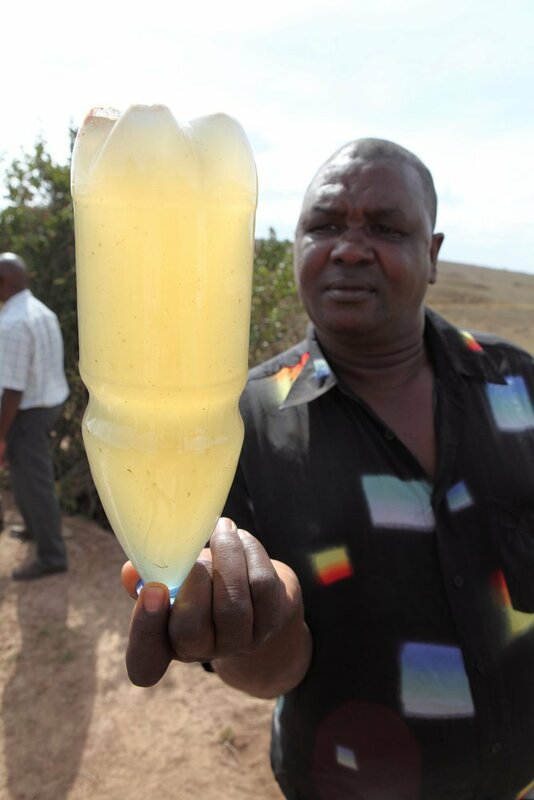 Filthy water is all that's available to drink in this Kenyan village. It doesn't have to be this way. I could not believe the heartbreaking scene that I was witnessing. But for these little boys, there is no other source of water nearby. As they drank I noticed that around their small mouths was green pond scum. In many cultures where World Concern works, there is a sense of fatalism. The tragic circumstances dealt to people are their fate, and they just need to accept them. Part of it is religious, part of it is cultural, part of it is just the fact that they haven’t seen anything better. Why would they hope for something they had not seen or heard about? Here is the truth: God aches for these boys, as do we. What we know that the little boys don’t is that it doesn’t have to be this way. Working together, we are can bring the love of Christ in tangible ways to relieve the suffering that families have endured for generations. It just doesn’t have to be this way. In communities where we have worked in a more significant way – communities that have seen the benefits of clean water, of sanitation, of education for children, of opportunities to work and save money – we have seen something happen. A spark of realization in the minds of hopeless people that the misery they’ve endured is not the final word. When they get it, mountains move. Children grow. Goals are set. Communities change – long term. Water is one of the most important ways we can begin the process of this transformation, to show the light of Christ to people who have suffered for so long.